Forgotten Self is a really good read. Although I’ve not read a huge amount of books in the YA Angel/Demon field – Hush Hush series, Katherine Pine’s After Eden (good) and a couple more I won’t mention as they were shockingly poor – I quite like them when they’re done well. 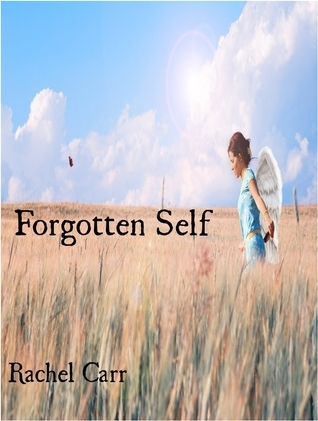 Forgotten Self is done very well and of those I’ve read I would rate it as the best. The story is a good length and I read it in a couple of days in two long-ish sittings. Even though it’s not a long book it is well-detailed; the ‘angelic’ world has a good depth to it, the explanations for which are delivered nicely throughout the book alongside Abby’s ‘real’ life. The characters are very well drawn, especially Abby, whose POV we read from. And although I tend to plump for one guy or another in a book, I found both Jonathan and Lucas appealing – there are some nice, subtle dynamics for romantics to enjoy without it being a straight ‘love triangle’. In the first couple of chapters I was enjoying the scene setting with Abby’s life, school friends and her relationship with cousin Kelly. I thought the descriptions of spiritual experiences and Abby’s grief were captivating – then BAM! Chapter 3 hits and there’s a very curious car accident and you were sucked into a bigger mystery with Abby. From that point on I struggled to put the book down as the pace was kept up in a perfect rhythm of events and mystery solving. I think to compare with something like Hush Hush, Forgotten Self is more sophisticated – although I like Hush Hush there are some things – like not being able to stay away from the good-looking but dangerous seeming boy that felt a little cliché. The delivery of the narrative in this is simply better. Abby’s character feels more genuine and likeable than Nora’s: she nicely sarcastic, reasonably pragmatic, but also real has teenager ‘moments’. This book is really well-written, from description to dialogue and emotions there is little repetition of images (something I found has irritated me in some other YA books) and they are quite original whilst being easy to read. This entry was posted in Reviews and tagged angels, Forgotten Self review, hush hush, Rachel Carr, YA. Bookmark the permalink. How do I buy a copy. They do not sell it on Amazon and I am trying to download it to my phone. It’s looks good but no place to buy it and her web site is down. ! Thanks for the note – I’ve just taken a look and can’t see it either and so have emailed Rachel to see if she can help – will post here when she comes back to me.